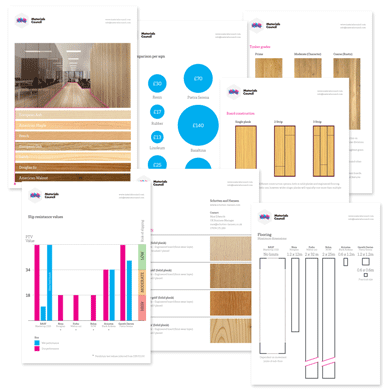 Materials Council guide architects, designers, property developers, brands and organisations through the complex process of appropriate materials selection, helping them to successfully realise their creative vision and promoting innovation. By assuming responsibility for in-depth materials research we increase its effectiveness, achieve results in shorter time and free designers to focus on the design itself. Materials Council bridge the manufacturing and creative industries, translating technical data, material performance and constraints, and communicate them in clear, visual and immediate terms; aiding the comparison and selection process of materials and their successful implementation within project constraints. We offer a comprehensive materials consultancy package to fit any project brief, budget and criteria. Our scope can include working on a specific feature of a design scheme, a specific project phase or supporting a project in its entirety from concept to construction. Materials Council believe that materials should not be considered as an afterthought; design and materials are integral. Completely independent from manufacturers, our consultancy is not influenced or compromised by our relationship to industry.